a health worker for everyone, everywhere, every day. Vicky, a 17 month-old patient from a remote gold mining community in Rivercess County received treatment from her CHW for malaria two weeks before this photo was taken. Thanks to early diagnosis and treatment, she recovered fully without need for referral. For ten years, your support has enabled Last Mile Health to redefine what’s possible in providing lifesaving healthcare to the world’s most remote communities. When we were first getting started, you supported us to hire, train, and equip Community Health Workers (CHWs) and nurses to establish the country’s first rural, community-based HIV treatment program. After just three years, the Ministry of Health invited us to scale our model to government clinics across the country. When we extended our vision even further, you walked alongside us. With your support, we pioneered a CHW model that transformed access to care in a region that had previously been considered too hard to reach. CHWs and their clinical supervisors in Konobo District saved countless lives and proved that it’s possible to deliver high quality healthcare at the last mile. Then the Ebola outbreak struck and posed our greatest challenge yet, but we were determined to continue serving our patients. Your generosity enabled us to train and equip CHWs and health facility staff to stop the spread of Ebola and continue safely providing lifesaving routine care. A tragedy of profound scope, the Ebola epidemic underscored the need for stronger health systems that reach even the world’s most remote communities. Empowered by your tireless advocacy, we responded to this need by supporting the Government of Liberia to design and launch a nationwide CHW program to serve all 1.2 million people living at Liberia’s last mile. Over the past year, your support has enabled us to assist the Ministry of Health and a coalition of partners to train and deploy more than 2,900 CHWs and 350 clinical supervisors across 14 of Liberia’s 15 counties. As we write this letter, thousands of heroic women and men across Liberia are providing lifesaving healthcare to communities that just a few months ago were beyond the reach of the health system. And we’re just getting started. There are still 400 million people worldwide who lack access to healthcare, and we know this does not have to be the case. Through your advocacy and partnership, we have demonstrated that no community is too difficult to reach. We look forward to our next ten years of working together to ensure that everyone, everywhere can realize their right to health. Under Liberia’s National Community Health Assistant (CHA) Program, professional community health workers (CHWs) are called CHAs. Every CHA reports to a trained nurse, Physician’s Assistant, or midwife called a Community Health Services Supervisor (CHSS), who is based at the nearest clinic or hospital. For the purpose of this report, we will refer to CHAs using the universal term CHW and to CHSSs as clinical supervisors. Last Mile Health was founded in 2007 by a group of local health workers and global health professionals under the name Tiyatien Health, which means “justice in health” in a local dialect. Fourteen years of civil war had decimated Liberia’s health systems, but our co-founders saw an opportunity to transform health outcomes through the power of clinicians and CHWs working together. Inspired by the growing movement for health equity, our strategy was focused on leveraging home-based care and clinical services to bridge the gap in access to treatment for people living with HIV/AIDS in post-war rural Liberia. Co-founders Weafus Quitoe, Alphonso Mouwon, and Raj Panjabi (not pictured: Amisha Raja, Marcus Kudee, and Peter Luckow). Clinicians at Martha Tubman Memorial Hospital in Zwedru, accompanied by Raj Panjabi who was volunteering as a medical student, begin to diagnose patients with HIV/AIDS. Only physicians are authorized by the Ministry of Health to oversee HIV therapy in Liberia, but there are too few doctors to care for the growing volume of patients in rural areas. The group presents this challenge to Liberia’s Minister of Health in the form of essays documenting their patients’ stories. They make the case that mid-level clinicians can be effectively trained to prescribe and manage HIV treatment and that CHWs can provide vital support through home-based care. In response to this call to action, the Ministry of Health and Last Mile Health launch Liberia’s first rural, community-based HIV treatment program at a clinic at Martha Tubman Memorial Hospital. An initial cohort of 17 CHWs are trained to accompany patients through treatment. Co-founder Alphonso G. Mouwon poses with the original Tiyatien Health sign outside of our office in Zwedru, Grand Gedeh County. CHWs are trained to provide mental health services and care for patients with epilepsy. Last Mile Health partners with the Government of Liberia and the Global Fund to Fight AIDS, Tuberculosis, and Malaria to replicate our HIV treatment model in 19 public clinics across 12 of Liberia’s 15 counties. CEO Dr. Raj Panjabi (left) accompanies clinicians at Martha Tubman Memorial Hospital to care for patients fleeing political crisis in neighboring Ivory Coast. We mobilized our existing CHWs to respond to an influx of 180,000 refugees who entered Liberia’s Grand Gedeh County fleeing political crisis in neighboring Ivory Coast. CHWs and medical staff provided treatment for people living with HIV/AIDS and mental health services to survivors of trauma and violence. Theo Neewrayson, now a Community Engagement Assistant with Last Mile Health in Konobo District, was among the initial group of 17 CHWs trained into our HIV treatment program in Zwedru in 2007. Born in rural Grand Gedeh County, Theo fled to neighboring Ivory Coast with his family during Liberia’s civil wars. He lived there as a refugee before returning to Liberia as a high school student, but his experience in Ivory Coast would remain with him and influence his future career. When he returned to Liberia with his siblings in 1999, Theo was determined to complete high school and find ways to serve his community. Unable to afford rent while paying his own tuition, he lived with a friend in Zwedru and focused on his studies. In 2003, he signed on to a government-supported program to become a community health volunteer and spent free time engaging in health promotion activities in his community. Then in 2007, just as Theo was preparing to graduate from high school, Last Mile Health recruited him to serve amongst our inaugural cohort of 17 CHWs. 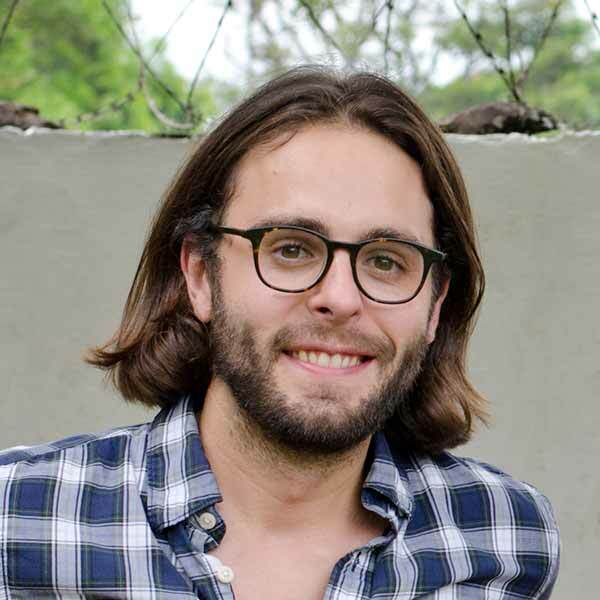 In his new role, Theo met with patients in their homes to deliver their medications, provide psychosocial support, and address any challenges that were interfering with their treatment. Having a source of accompaniment and hope from CHWs like Theo transformed outcomes for more than 700 people living with HIV who otherwise would have faced immense barriers to treatment. When we expanded our CHW program to Konobo District in 2012, Theo was transferred there and promoted to serve as a Program Assistant and later as a peer supervisor for new CHWs. 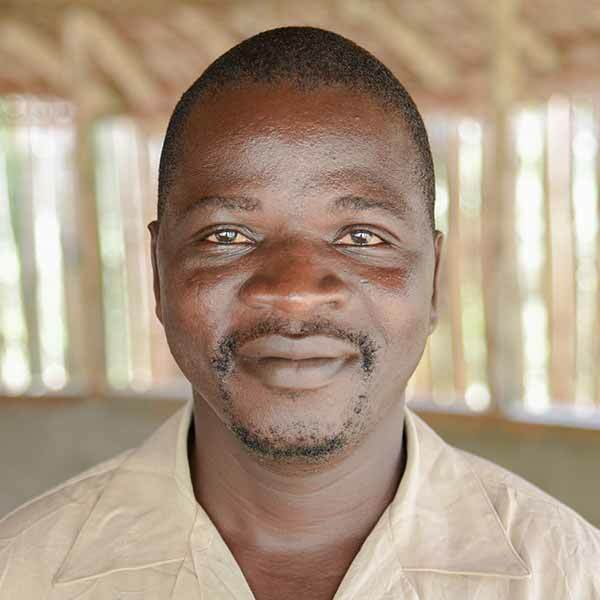 In these roles, Theo lent his depth of experience caring for HIV patients to building an integrated CHW program that rapidly expanded access to care for thousands of women and children in Konobo’s remote communities. Theo travels by motorbike to remote communities in Kobobo District to deliver lifesaving medications to CHWs. Just as his work transformed the lives of countless patients, becoming a CHW brought about a sea change in Theo’s own life and the life of his family. When he returned to Liberia after living for many years as a refugee, Theo had to rebuild his life from the ground up. Thanks to the reliable income he’s earned over the years, he’s since been able to provide his family with the security and comfort of a home of their own. At the same time, his career continues to grow as he gains new professional skills as a Community Engagement Assistant. Reflecting on the past decade, Theo says he’s proud of the ripple effect of his early impact as our work and his career both continue to grow. Running our HIV treatment program out of a government referral hospital in a large rural town, we realized early on that there was a significant unmet need for healthcare amongst remote communities that were too far away to access the hospital’s services. Our early work helped us see the potential for CHWs to overcome seemingly impossible barriers in access to care, so we decided to push our model even further. In 2012, we worked together with the Ministry of Health to start a CHW program in Konobo District, one of the most remote districts in Grand Gedeh County. CHW Stanley prepares an oral rehydration solution for a child with dehydration. Cellular connectivity in Konobo expedited emergency referrals for patients requiring transfer to the county hospital. Last Mile Health partners with Cellcom Telecom­munications (now Orange) and the Government of Liberia to establish Konobo District’s first sustainable cellular tower to expedite emergency referrals for patients requiring higher level care. Staff review a CHW’s medicine box in Rivercess County. The Ministry of Health invites Last Mile Health to begin replicating the Konobo CHW model across all of Rivercess County as a pilot for nationwide scale. Community leaders break ground on the new maternal waiting home. Last Mile Health and the Ministry of Health complete construction of a maternal waiting home adjacent to Konobo Health Center. The home provides a safe and comfortable place for expectant mothers from remote communities to stay during the final weeks of their pregnancy so they have access to safe, facility-based delivery. Since we first launched our CHW program in Konobo with the Ministry of Health in 2012, we’ve observed significant increases in access to care from qualified providers for children and pregnant women. In February 2017, these results were published in the Bulletin of the World Health Organization. When we first started working in Konobo, only 56 percent of women gave birth in a health facility. Today, that figure is nearly 100 percent. Safe, facility-based delivery ensures that women have access to lifesaving care for themselves and their newborns. On December 26th, 2013 an 18 month-old child from a remote community in the Guinean rainforest fell ill and died tragically of cholera-like symptoms. Within weeks, several of his family members had succumbed to the same fate. But by the time local public health authorities were first notified almost a month later, what would become the largest Ebola epidemic in recorded history was already underway. Having started as a local outbreak in a remote community, Ebola quickly overwhelmed the region’s fragile health systems and went on to claim the lives of more than 11,300 people across Guinea, Liberia, and Sierra Leone. Health facility staff receive training on the use of Personal Protective Equipment to prevent transmission of the Ebola virus. Your support enabled us to assist the Government of Liberia to train and equip CHWs in Konobo and health facility staff across Liberia’s southeastern region to respond to the epidemic and continue providing lifesaving routine health services to their patients while remaining safe from infection. We also trained hundreds of community mobilizers to prevent and contain the spread of Ebola, and we supported the Ministry of Health’s nationwide response to the epidemic. In September 2015, Last Mile Health and a coalition of public and private sector partners received the Clinton Global Citizen Award for Leadership in Humanitarian Response in recognition of efforts to contain the epidemic. The community education and engagement that CHWs delivered played a crucial role in containing the Ebola outbreak. The Ebola epidemic highlighted the need for stronger health systems that leave no community behind. At the same time, it also highlighted the role that ordinary community members can play in transforming health outcomes by bringing lifesaving healthcare services – including infectious disease surveillance and community-based treatment for common illnesses – to remote communities. In response, we set out to aid the Government of Liberia in designing a nationwide CHW program to ensure that every remote community in the country has access to lifesaving healthcare from a paid, professional CHW by 2021. Veteran staff member Laurie Toe reviews patient records at Martha Tubman Memorial Hospital in Zwedru. Representatives of the Ministry of Health, Last Mile Health, and 50 partner entities gather to initiate the design of a nationwide CHW program. CHW Grace Dahn references her job aide tool while providing counseling on family planning to a patient from her community. Job descriptions for CHWs and clinical supervisors are finalized. Veteran staff member Markson Farley travels on foot to remote communities in Konobo to provide CHWs with a restock of medical supplies. The Ministry of Health and partners validate the policy and strategic plan that will serve as the foundation for the National CHA Program. A CHW from Rivercess attends training on Reproductive, Maternal, and Neonatal Health. The Ministry of Health launches the National CHA Program. A CHW in Konobo Districts administers medication to a patient with pneumonia. Ministry of Health and partners approve final versions of the standardized curricula for CHWs and clinical supervisors. Clinical supervisor Melvina Grupee practices facilitation skills by teaching a lesson on maternal health during supervisor training for the National CHA Program in Rivercess County. CHWs in Rivercess attend training on Reproductive, Maternal, and Neonatal Health. Trainings for CHWs begin nationwide. Representatives of Last Mile Health and the Liberia Ministry of Health gather to celebrate the launch of the National CHA Program in Grand Bassa. Last Mile Health begins direct implementation of National CHA Program in Grand Bassa County. Born and raised in Konobo District, Patience Suzar was one of ten trailblazing CHWs that Last Mile Health recruited to launch our work in the district in 2012. Five years later, Patience continues to serve her community as a CHW, and her work has been a source of inspiration for the development of Liberia’s National CHA Program. Patience recalls a profound transformation in her community since she started providing community-based care. With the support of her clinical supervisors, Patience learned to diagnose, treat, and refer patients for a host of potentially life-threatening conditions that until then would have required a long and costly journey to the nearest clinic or hospital. Along the way, Patience also received mentorship from peer supervisors including Theo Neewrayson (featured on pages 8-9) who lent his experience as a CHW under our HIV program to ensure that Patience had the supplies and support she needed to provide the highest possible quality of care. When the Ebola outbreak struck it caught much of Liberia unprepared. But thanks to the work of Patience and her fellow CHWs, Konobo was an exception. In concert with the Ministry of Health, Last Mile Health trained CHWs in Konobo and hundreds of other community mobilizers from across Grand Gedeh and Rivercess Counties to identify the symptoms of Ebola, report and isolate suspected cases, and educate their communities on prevention. Thanks to these measures, there was not a single case of Ebola reported in Konobo District. Patience and her by then 50 CHW colleagues in Konobo also learned modified clinical care protocol that allowed them to continue safely providing routine care to their neighbors throughout the epidemic. At a time when many clinics and hospitals across Liberia shut their doors for lack of protective equipment and training on infection prevention and control, CHWs in Konobo treated more than 8,860 cases of malaria, diarrhea, or pneumonia in children under five. Their courageous commitment to “keep safe, keep serving” saved countless lives. By proving their resilience and adaptability, Patience and her colleagues captured the attention of the Government of Liberia. As the Ebola epidemic came under control, the Ministry of Health invited Last Mile Health to play a lead role in designing a nationwide CHW program to ensure that every remote community in Liberia is linked to the public sector health system through the lifesaving services of a CHW like Patience. Liberia's National Community Health Assistant (CHA) Program will deploy a network of paid, professional CHWs to provide lifesaving primary healthcare services to all 1.2 million people who live more than an hour’s walk from the nearest health facility. Over the course of the past year, we have supported the Government of Liberia to recruit and train more than 2,900 CHWs and 350 clinical supervisors who now serve hundreds of thousands of people across 14 of Liberia’s 15 counties. In each of these counties, the Ministry of Health’s local County Health Team receives funding and implementation assistance from one or more partner organizations including Last Mile Health. As the lead technical advisor to the Government of Liberia for the National CHA Program, Last Mile Health supports the Ministry of Health to ensure the highest possible quality of program implementation across all counties. Driving toward the aim of full government ownership over the long term, we’re supporting our government partners to ensure that the National CHA Program becomes a sustainable cornerstone of Liberia’s public sector health system. At the county level, Last Mile Health serves as the Ministry of Health’s designated implementing partner in Grand Gedeh, Rivercess, and Grand Bassa Counties. In Grand Gedeh and Rivercess, Last Mile Health supports the Ministry of Health to manage a network of 430 CHWs and 47 clinical supervisors who serve 82,000 people across hundreds of remote communities. In August 2017, we launched operations in Grand Bassa County and are currently supporting the Ministry of Health to recruit and train a cohort of 100 new CHWs. As of November 2017, the Government of Liberia and its partners have recruited and trained 350 clinical supervisors and more than 2,900 CHWs to provide lifesaving healthcare to their neighbors. These compassionate health professionals are ensuring that children like Emily (pictured at right) have access to lifesaving healthcare at the first sign of illness. If Emily falls sick, her mother no longer has to arrange travel to the nearest clinic. Instead, she can bring Emily to their local CHW, Dorcas, for diagnosis and treatment. Dorcas recently treated Emily for malaria and she recovered at home without need for referral. Patient Emily from Gboe District recently received care from her CHW for malaria. The National CHA Program follows a five-step model to deliver lifesaving health services to patients at the last mile. Click on each element of the model below to learn more. The Ministry of Health and its partners recruit CHW candidates from within the communities they will serve. To be eligible for service, candidates must be 18-50 years old, have at least a sixth grade education, and demonstrate basic literacy and numeracy skills. Preference is given to female candidates and applicants with health-related volunteer experience. Once selected, CHWs undergo a series of four training sessions of approximately 60 hours each. After each session, CHWs return to their communities to practice their new skills and receive coaching from their clinical supervisor before matriculating to the next training. CHWs are kept consistently stocked with the essential medications and supplies they need to deliver lifesaving healthcare. This includes rapid diagnostic tests for malaria; medications for treating diarrhea, malaria, and pneumonia in children; family planning commodities; and more. All CHWs receive twice-monthly supervision and coaching from a trained nurse, Physician’s Assistant, or midwife who is based at the nearest clinic. These clinical supervisors create a strong referral pathway between CHWs and the broader public sector health system. In recognition of their lifesaving work, CHWs receive a monthly monetary incentive that is commensurate with the 20 hours of work they are expected to perform each week. Daniel, a three year-old patient from a remote gold mining community in Rivercess County, received treatment for malaria from his CHW just a few hours before this photo was taken. Daniel woke up with a high fever, so his mother sent for CHW Yassah Flomo who diagnosed malaria and provided a first dose of treatment. Hours later, his condition had already vastly improved. Daniel made a full recovery. CHW Soko Sirleaf displays his community map. CHW Grace Dahn counsels a pregnant woman during a home visit. A CHW performs a Rapid Diagnostic Test (RDT) for malaria. CHW Oretha Menyon from Rivercess County. 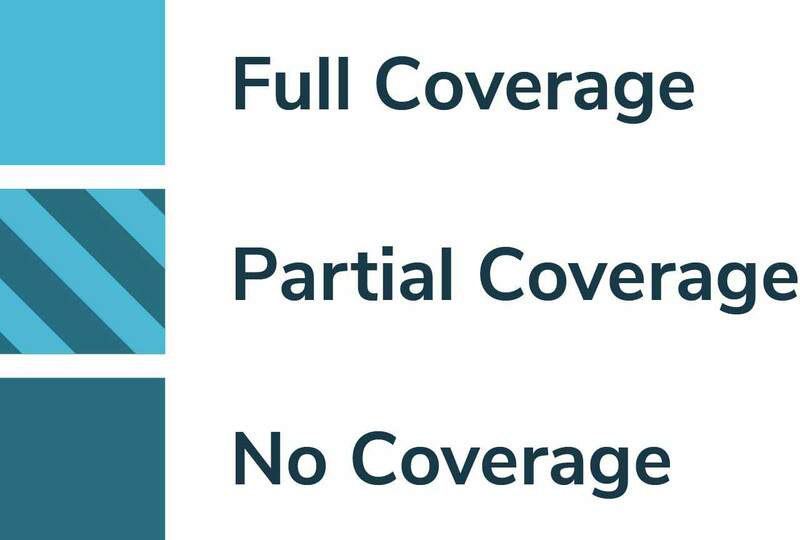 Over the years, we’ve seen our impact grow from full-district coverage in Konobo, to full-county coverage in Rivercess, and now to nationwide scale. Last Mile Health has supported the Liberia Ministry of Health to design a robust Community Based Information System (CBIS) to collect key programmatic data on the National CHA Program across all counties. Over the past year, we worked with the Ministry of Health to finalize standardized data collection forms and procedures for the CBIS that are currently being rolled out across Liberia. These forms are designed to collect key information on the provision of patient services such as the number of routine household visits that a CHW conducts; the number of cases of childhood illness that they treat; the number of infectious disease trigger events they identify; and the number of patients they refer. Clinical supervisors collect this information from CHWs and submit monthly reports to the Ministry of Health for entry into a national database where it can be reviewed and analyzed. In addition to providing a means to carefully track CHW performance and monitor the outputs of the National CHA Program, the CBIS also creates a robust, nationwide disease surveillance system that can be used to identify and respond to potential infectious disease risks. Furthermore, the CBIS is nested within the Ministry of Health’s broader Health Management Information System (HMIS), which is used to track service delivery and monitor the burden of disease across the public sector health system. Thanks to this strategic configuration, the HMIS can now provide a holistic picture of health service delivery across Liberia, including those services that are administered by CHWs at the community level. *Last Mile Health’s managed networks include all CHWs and clinical supervisors deployed in the counties where we provide direct implementation support to the Ministry of Health’s County Health Teams. This included Grand Gedeh and Rivercess Counties in 2017, and will include Grand Bassa County in 2018. Assisted networks include all CHWs and clinical supervisors deployed nationwide with support from the network of partners detailed on the map on page 19. Assisted networks benefit from the technical assistance and program coordination that Last Mile Health provides at the national level. When operational insights such as medication inventory and patient treatment data are buried in cumbersome paper forms, it’s difficult for CHWs and their supervisors to make effective use of this information to improve the quality of care they provide to their patients. In response to the need for more actionable data, our Research, Monitoring, and Evaluation Team created an innovative mobile health (mHealth) platform that’s tailored to the last mile. 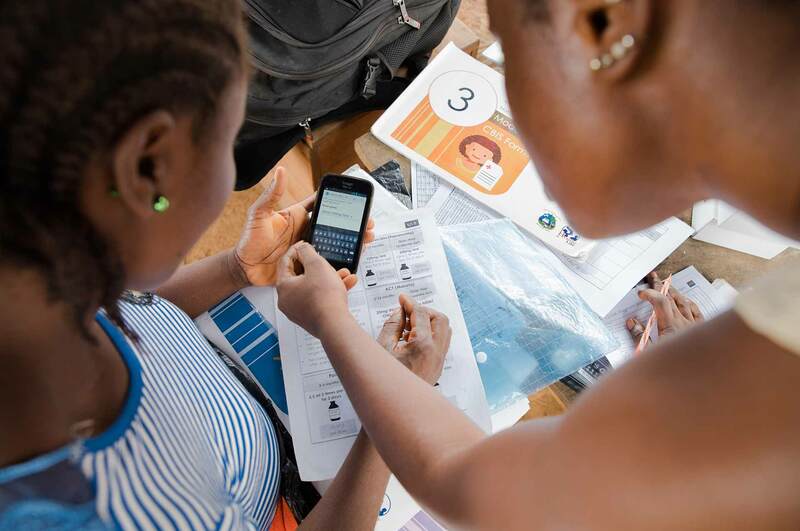 Hosted on Android smartphones, our mHealth platform allows CHWs and their supervisors to log information on patient interactions and supervision visits in real time in even Liberia’s most remote communities. Since most of the communities we serve lack access to electricity and cellular networks, CHWs charge their mHealth devices using a solar panel and external battery pack and can log data on patient interactions, access reference materials, and use diagnostic tools in an offline app. Data is then transferred from CHW to supervisor and from supervisor to county hub via Bluetooth before being uploaded to an online database called Last Mile Data. This database is accessible to our staff and government partners and is used to identify trends and inform targeted improvements to CHW performance and program quality. Clinical supervisor Diana Dennis coaches CHW Deborah Boweh as she reviews program forms and data stored on her mHealth device. For two years, Last Mile Health has worked with community members and the Ministry of Health to transform access to healthcare for people living in one of Liberia’s most remote districts. Construction of the Boe Geewon Community Clinic was completed in September 2017. Located deep in the rainforest of Grand Gedeh County, Gboe District is a picture of remoteness. A two-hour drive down a narrow, unpaved road from the nearest community with cellular reception, Boe Geewon is the most accessible of the district’s 12 communities. Chayee Town, Zammie, and Zarzar are another five to seven hours past Boe Geewon and can only be reached on foot. Until recently, the only option when a community member fell ill or got injured in one of these towns was to carry them in a hammock for up to two days to reach the nearest clinic in a neighboring district. A few years ago, all of this changed. In 2015, your support enabled us to recruit and train CHWs to provide lifesaving health services to every community in Gboe District. For the first time ever, children gained ready access to treatment for common illnesses and there was finally a robust disease surveillance network in place to identify the earliest signs of an infectious disease outbreak. But we didn’t stop there. We knew that CHW programs are most impactful when they connect patients with the broader public sector health system, but there was no clinic in Gboe for CHWs to refer complicated cases to. Where many considered Gboe too small or too remote to warrant investment, we saw an overwhelming need for lifesaving healthcare and we were determined to bridge the gap. With the support of generous partners like you, we committed to accompanying the people of Gboe and the Government of Liberia to open the district’s first clinic. Not long before we launched operations in the district, the people of Gboe had pooled together community funds and started construction on a building that they hoped could be become a formal clinic. The local youth committee framed the building with bamboo and other local materials and covered the structure with corrugated roofing material. It was an impressive start, but the building still needed structural improvements, staff, and supplies. As we launched our CHW program in Gboe, we also began working with community leaders and the Ministry of Health’s Grand Gedeh County Health Team (CHT) to set these upgrades in motion. In the meantime, we also worked with the CHT to send medical staff and supplies to Gboe for one week each month to run a temporary clinic out of the unfinished structure. Nurse aide Victoria Goah, a former CHW from Gboe District, takes a patient’s blood pressure at the Boe Geewon Community Clinic. Patients receive prescriptions from the clinic’s pharmacy. For two years, the people of Gboe worked diligently to complete construction. Meanwhile, Last Mile Health assisted with the transportation of building materials and the recruitment and training of local community members to serve as the clinic’s registrar, nurse aide, pharmaceutical dispenser, vaccinator, and laboratory aide. Amongst these new staff is Victoria Goah, who was one of the first CHWs we recruited in Gboe in 2015. In recognition of her outstanding skill and dedication, Victoria was promoted to serve as the clinic’s nurse aide. Through two months of training at Martha Tubman Memorial Hospital in Zwedru, Victoria learned to perform blood pressure screenings, register new patients, and support clinical staff with patient care. Once Victoria and the clinic’s other support staff completed training, the Ministry of Health recruited a talented nurse and registered midwife to serve as the facility’s two full-time clinical staff. With the structure complete and the staff recruited and trained, the final hurdle was to deliver medical supplies to the clinic and officially launch operations. After traveling for three days through the deep mud of rainy season roads, the launch team finally arrived in Boe Geewon on September 6th, 2017. When they arrived, they found a town eager to celebrate the culmination of two years of advocacy, partnership, and determined innovation. 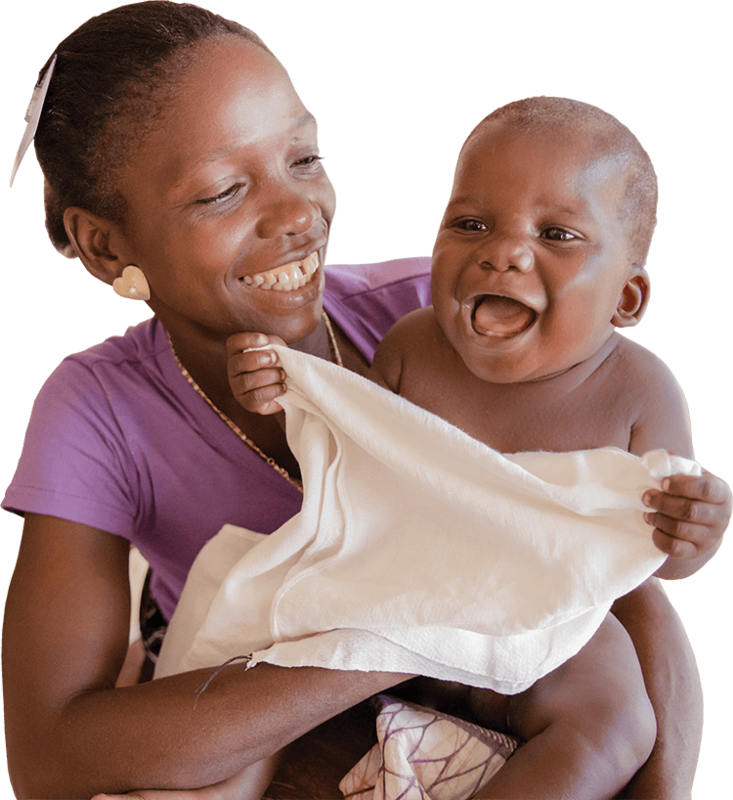 In just its first month of operation, the Boe Geewon Community Clinic delivered five healthy babies and provided care to more than 400 patients for conditions ranging from malaria and upper-respiratory infections to life-threatening trauma injuries. The launch of CHW programming and the establishment of a clinic in Gboe have demonstrated the magnitude of what we can achieve when we commit to innovating together with governments and local communities. We will continue to evaluate and refine our efforts in Gboe to glean valuable learning about how to design, build, and support health systems that enable people living in remote communities around the world to realize their right to health. At Last Mile Health, the word ‘ALL’ is etched into our logo as a testament to our belief that all people, no matter where they live, deserve high quality healthcare. For the past ten years, we’ve worked with the Government of Liberia to demonstrate that CHWs and their clinical supervisors can transform health outcomes in communities that were once considered too difficult to serve. Recognizing that 400 million people worldwide still lack access to even the most basic health services, we’re committed to drawing on our learning in Liberia to advocate globally for investment in CHW programming as a means of achieving health for ALL. Staff members celebrate CEO Dr. Raj Panjabi's recognition as one of TIME Magazine's 100 Most Influential People of 2016. 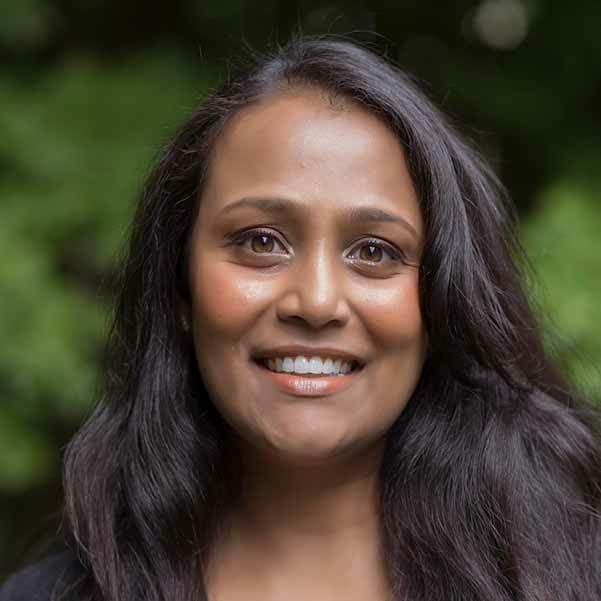 Dr. Raj Panjabi is named to TIME Magazine’s list of The 100 Most Influential People of 2016 in recognition of Last Mile Health’s advocacy for health equity. Last Mile Health delivers an expert testimony at the U.S. Senate Foreign Relations Subcommittee on Africa and Global Health Policy arguing that investment in CHWs to serve remote communities makes health systems more resilient in the face of epidemics like Ebola. CHW Zarkpa administers medication to a patient in Konobo District. Last Mile Health receives funding through the United States Agency for International Development’s (USAID) Integrating Community Health award. Through this award, Liberia joins a consortium of seven other countries working to inform USAID and UNICEF’s global approach to community health programming. Ministry of Health and Last Mile Health staff represent the National CHA Program at the Institutionalizing Community Health Conference in Johannesburg, South Africa in March 2017. Last Mile Health and the Liberia Ministry of Health join delegations from 23 countries at the Institutionalizing Community Health Conference sponsored by UNICEF, USAID, and the Bill and Melinda Gates Foundation to share learning around global best practices in CHW programming. Skoll Foundation filmmaker Gabriel Diamond captures footage of CHW James Togba caring for a patient in his community in Rivercess County. Click the link to view the film. Last Mile Health is honored with the Skoll Award for Social Entrepreneurship and is named a Schwab Foundation Social Entrepreneur of the Year. Click here to watch our Skoll Awardee profile. CEO Dr. Raj Panjabi accepts the 2017 TED Prize and gives a TED Talk announcing our plans to launch an online learning platform called the Community Health Academy. Minister of Health Dr. Bernice Dahn (second from left) poses with Last Mile Health ​​team and community health workers at a ceremony ​recognizing Last Mile Health and Dr. Raj Panjabi as a Distinguished Servant of the Republic of Liberia. The President of Liberia recognizes CEO Dr. Raj Panjabi and Last Mile Health as a Distinguished Servant of the Republic of Liberia. Program Director and veteran staff member Ben Grant speaks at the launch of The Elders “Walk Together” campaign, a new initiative that aims to drive forward the global movement for Universal Health Coverage. Representatives of Last Mile Health's National Community Health Systems and Health Investment and Policy teams present at the World Health Organization's Global Forum on Human Resources for Health. Last Mile Health presents at the World Health Organization’s Global Forum on Human Resources for Health to share learnings from the design and implementation of the National CHA Program. Born out of Last Mile Health’s 2017 TED Prize Wish, the Community Health Academy will support governments to train, evaluate, and certify CHWs through online continuing professional education for policymakers and health workers. In 2018, the Community Health Academy will launch its first open-access online course in partnership with HarvardX and edX. Tailored to policymakers and public health program managers, the course will provide insights for governments looking to design and launch evidence-based CHW programs. The Community Health Academy will also directly support governments to scale nationwide CHW programs by providing customized, in-country technical assistance. Dedicated technical advisors will work directly with partner governments at the national and local levels to develop CHW program strategy, design customized suites of training resources drawn from the Community Health Academy’s training library, and implement high quality training at nationwide scale. In April 2017, Last Mile Health launched the Community Health Academy to reinvent the education of CHWs and the leaders who support them. Together with a global consortium of partners, the Community Health Academy will train, empower, and connect CHWs around the world to provide high quality, home-based care to millions of people who are beyond the reach of the nearest health facility. The Community Health Academy will also support countries to develop formal accreditation programs for CHWs that enable them to become recognized, empowered professionals like nurses and doctors. One powerful feature of Liberia’s National CHA Program that we hope to advocate for globally is the value of pairing CHWs with skilled clinical supervisors. Designing programs in this way ensures that CHWs have the mentorship and support they need to provide high quality community-based health services. Clinical supervisors also cultivate a supportive referral pathway for patients who require higher-level care from a clinic or hospital. Recognizing the key role that clinical supervisors play in optimizing CHW performance and strengthening referral pathways, the National CHA Program cultivates a workforce of skilled clinician leaders who are passionate about improving community health. 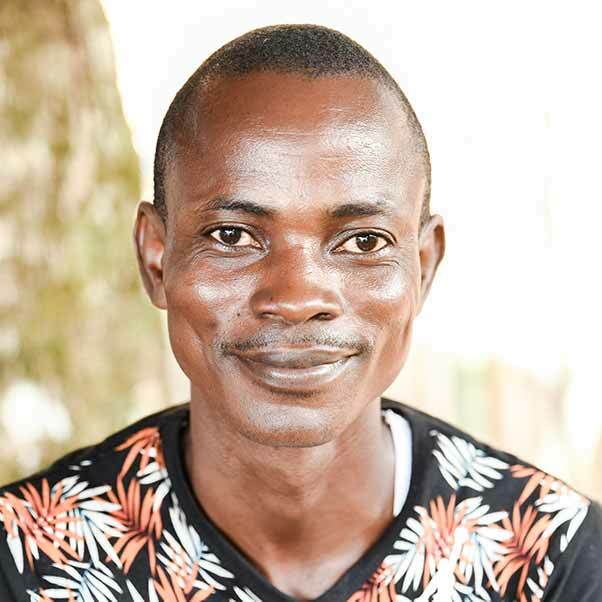 Musa Kromah, based in Konobo District, is one of hundreds of newly-recruited clinical supervisors who are courageously leading the movement to make Liberia’s health systems stronger, more resilient, and more equitable. 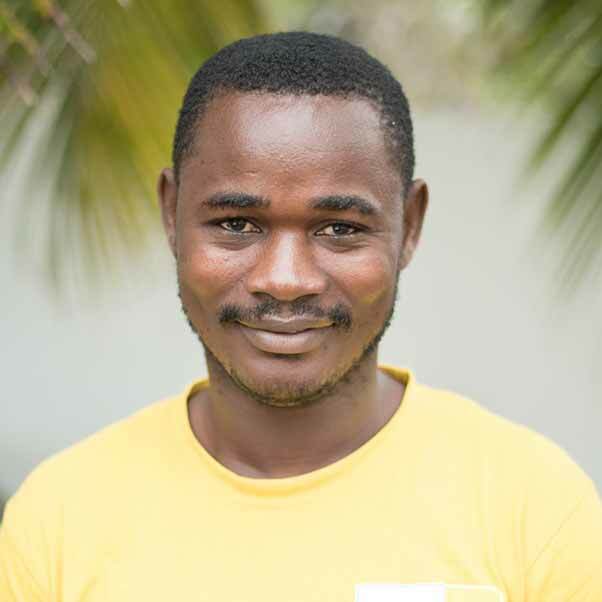 As chance would have it, Musa’s first job after graduating from nursing school was in the Emergency Department at Martha Tubman Memorial Hospital in Grand Gedeh County; the hospital where Last Mile Health was founded in 2007. Working just down the road from our office, Musa learned about the National CHA Program and developed a keen interest. 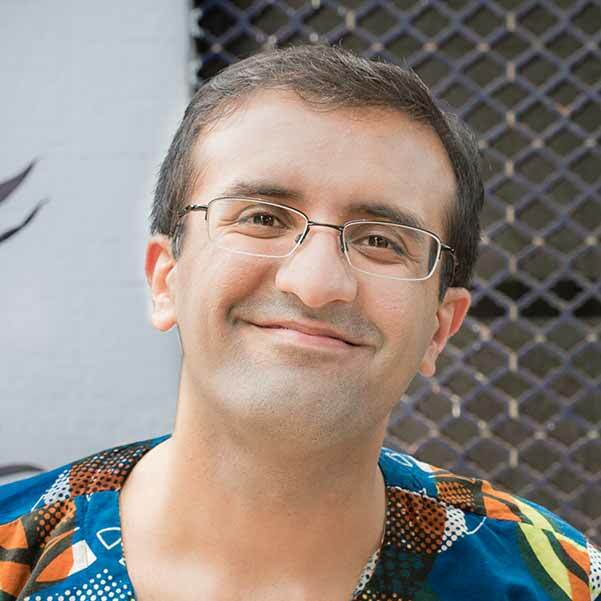 Having witnessed the barriers his mother faced in accessing care when she was pregnant, Musa was eager to serve remote communities in the same way as the nurse who inspired his career more than two decades ago. When the Ministry of Health announced a vacancy for a clinical supervisor in Konobo District earlier this year, Musa eagerly applied. He was accepted and assigned to a region of large gold mining communities that are especially difficult to reach. While he acknowledges that the work is not easy, Musa says he’s found it deeply inspiring and is grateful to be using his clinical skills to serve in an area of such great need. Our progress over the past ten years was made possible by the generous support of hundreds of partners like you who have lent their time, talents, resources, and compassion to the cause of healthcare for all. Click here to view our most recent Audited Financial Statements. Thank you for subscribing. We can't wait to be in touch! Oops! Something went wrong while submitting the form. Please re-enter the information above and try again. No patient is too difficult to reach with lifesaving healthcare. As we look ahead to our next ten years, we hope you’ll join us as we continue to strive toward a more just and equitable world where everyone, everywhere has access to lifesaving healthcare. Get involved today by making a gift to Last Mile Health or building the movement by sharing our report with your networks.